Who wouldn’t want to use a warm towel, especially during the colder autumn and winter months? To heat your towels, so you’ll remain warm after a warm bath, you need a towel warmer. This bathroom accessory is mainly a towel rack in which the horizontal and vertical rails (bars) heat up to make your towels warm. The towels can be heated through hot water (hydroponic towel warmer) or electricity (electric towel warmer). They come in various styles including the freestanding, wall-mounted, and cabinet-style, or pail/canister style. Some of the most commonly used in many households are the electric towel warmers. Certain models come with the soft-wired option. This is done by just plugging the warmer’s power cord into an electrical outlet. On the other hand, the hardwired units look cleaner because there is no visible power cord. However, the soft-wired towel warmers are easier to install, making them popular among users. These warmers can be hung on the wall. Position the unit on your preferred wall. As much as possible, locate your warmer so that at least two of its supports go into the wall studs. This is not a problem if your walls are concrete. Ensure that you have a wall junction box where you seek to hang your towel warmer. If you are unsure of what you are doing, hire a qualified electrician to do the work for you. The towel warmer’s electrical outlet will directly connect to the junction box cover. In turn, this will determine the warmer’s anchor supports’ location. The towel warmer should have its dedicated circuit as it will be turned on all the time. As towel warmers are energy-efficient, they consume less energy. Hardwired towel warmers come with their pros and cons. Their advantages usually depend on the actual brand and model you are planning to buy or have purchased. Wires are hidden – Your unit will look clean and you won’t be seeing unsightly wires. If you are creative enough, you can also use the towel warmer as another source of heat. Most hardwired electric towel heaters are designed to run all day while still saving enough energy. Most are made of stainless steel, thus, you won’t have to worry about rust. One disadvantage, especially when it comes to installing the warmer, is that you have to enlist the help of an electrician. Once your unit is working and you may run into heating issues, you may have to call the electrician again to fix your problem. Sometimes, the warmer can get too hot. This is not good if you have children around. The warmer can’t be easily moved as you need to place them near their own junction boxes. 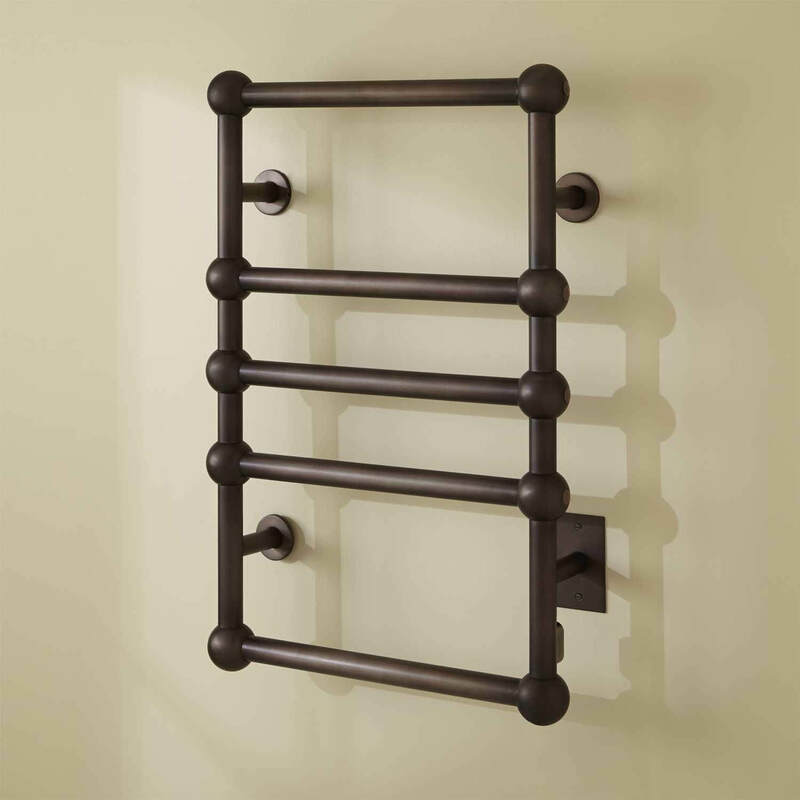 The hardwired electric towel warmer can be a beautiful design statement in your bathroom. Plus, the wall-mounted warmer is best for smaller spaces as it doesn’t occupy floor space. Perhaps, a hurdle concerning the hardwired unit is its installation. If you are not adept at electricity loads, it’s best to hire an electrician. Once you have accomplished that, you can enjoy your towel warmer and stay warm further during the cold months.